There’s more information and you may purchase tickets here. 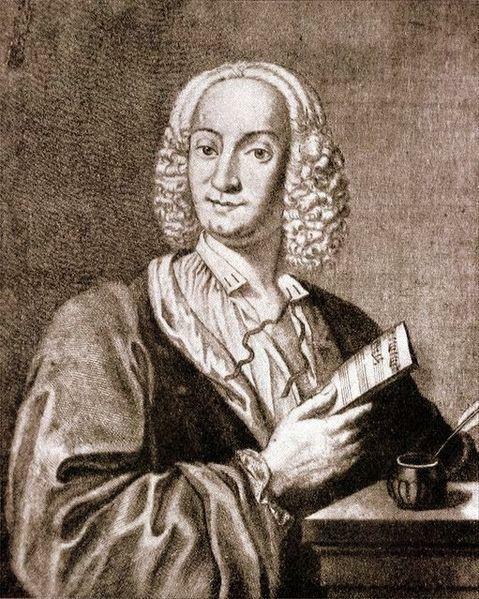 Vivaldi image: U.S. public domain. Dresden fireworks? Well, let’s start with the 1944-45 British and U.S. bombings under “bomber Harris” One of the worst war crimes of the 20th century bar none. Start qith a program on that…. “One of the worst war crimes of the 20th century bar none” Of course it depends on what you considers war crimes. The post war studies by the Pentagon attempting to justify the indescrinate fire bombing of civilians in Dresden are on the order of the pentagon and AEC statements justifying what was done with the atomic veterans! No amount of U.S. official pronouncements, NY Times et al major news media or kept commissions by the govt of occupied Germany is going to wash away the landmark crime of what happened at Dresden. The carpet bombing of Cambodia killed ten-times as many people as died in Dresden, just to provide one counter-example. Crime LOL, Lets not forget Germany solely instigated the war in Europe and bombed London way before Dresden. Some German civilians got toasted, so what, cry me a river…. Read some history Arch. At a distance of over sixty years, a little sanity and clearly of recall has emerged. Germany SOLELY started WWII? Ever hear of the phoney war? ENGLAND declared war. And the bombing was always a two way affair. Germany NEVER developed a strategic Bomber or allowed resources to produce air superiority. Germany even though they had the materials and science, never developed the atom bomb. LOL, Yeah I know about it, Germany invaded Poland 9/1/39 France and England declare war on the belligerent Germans two days later… The Nazis were working on an fission bomb, though their resources to do so were stretched thin and oh yeah, there was that commando raid that destroyed their heavy water supply, effectively ending any hope of building one, LOL..
Oh and what about those V1 and V2 missiles that killed thousands of civilians in England? And of course you ignored the whole death camp thing, cause thats the real warcrime. As I said, the bombing was a two way street. And to view the events of 1935 to 45 and not to first look at the actions of the British foreign office…and the London Banks, is madness. But the lesson of ALL this should NOT be who is the single or primary culprit. The lesson should be that occult forces cause wars and that the entire era was a massive Disaster for Western Civilization from which we have NEVER recovered…. Again you avoid the real warcrimes perpetrated by the Nazis… but probably best you don’t as I won’t engage in anymore discussion of your crackpot, revisionist history. show this to be the case.